Kwantlenâ€™s annual Cupcakes for Charity event has cooked up a fresh batch of donations for the Canadian Breast Cancer Foundation. A table of sugary treats and origami roses was set up in the Richmond campus rotunda on Tuesday.Â Human Resources Management student Nicole Joe, who ran the bake sale, noted its success. Joe said there is a history of breast cancer on her motherâ€™s side of the family and also has an uncle battling lung cancer. Because her uncle doesnâ€™t smoke and is generally healthy, she said she thinks that the cancer naturally occurred, which lends to her compassion on the issue. 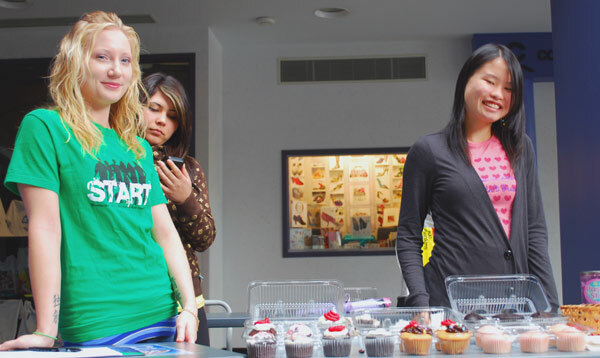 Jessica Ford of Kwantlenâ€™s START volunteer program was also selling treats. â€œMy aunt has breast cancer [â€¦] sheâ€™s in line for a new breast,â€ said Ford. With Breast Cancer Awareness Month in October, the two women decided to contribute their personal experiences to the cause.Â They sold a variety of homemade goodies, including origami flowers, brownies and, of course, cupcakesÂ Joe also had a portfolio of her paper plants, which she said sold better than expected. For a minimum 50-cent donation for the cupcakes and $2 for the origami roses, supporters also received a pink breast cancer ribbon. After only two hours, the table saw its fair share of support. 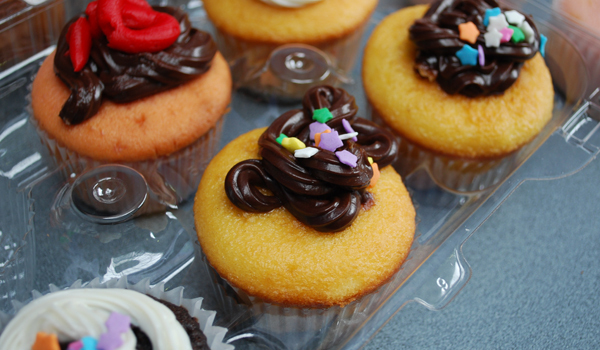 â€œCupcakes are going really wellâ€”people buy trays of six, people buy more than oneâ€¦,â€ said Joe. Though the event took place on the Richmond campus, a charity sale may pop up on the Surrey campus as well. Article by Kristi Jut and Jacob Zinn.